It’s time to find out what we’ve been enjoying in Our Muslim Homeschool this month! Welcome back friends! This month I’m excited to share a lot a wonderful books and educational resources that we’ve discovered! There is also a GIVEAWAY this month. If you’d like to enter ,scroll down to the bottom of this post and enter via the Rafflecopter widget. Dont forget to watch the accompanying YouTube video, to get a closer look at all the products mentioned in this blogpost. In the homeschooling circles, I have been hearing about Life of Fred Math for a long time. It is well known within homeschooling circles as an unconventional method of approaching maths. Life of Fred Math teaches maths in a narrative form, with humorous story line and a distinct lack of practice questions! It is unlike any other maths book you’ve ever seen! I’m not sure what it was that finally prompted me to order it, but I’m so glad that I did! Despite a minimal amount of practice questions and worksheets, the mathematical principles we are covering seem to be sticking in my son’s mind. He loves how each chapter incorporates lots of other interesting facts and information (not always Maths related) and how the maths is put into real-life context. We have the levels “Apples”, “Jelly-Beans” and “Icecream.” To decide which book is best for your child, visit the Life of Fred website. For more information about Life of Fred Math, you can visit their website by CLICKING HERE. Life of Fred can be difficult to find in the UK. I purchased mine from Conquest Books. 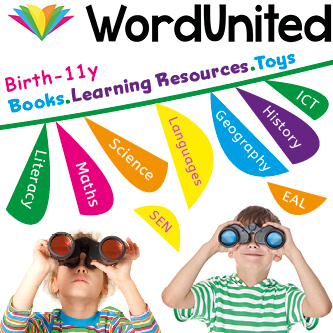 They are the largest supplier of Homeschool curriculum in the UK, and have loads of other useful curriculum for homeschoolers. To visit there website CLICK HERE. We have been using this sticker chart from MuslimStickers.com to establish a good morning routine with the children. My family have been using the Islamic Behaviour Chart for 4 weeks now, and the change in my kid’s behaviour in the morning has been phenomenal! No more sluggish and sleepy boys! No, they’re ready long before I am! Having a good morning routine is so important, even as adults, to having a productive day. I have seen that when we are slow to start school in the morning, we never get as much done and the children are less enthusiastic.This reward system has helped us all get ready for the day and begin school by 9am insha’Allah. You could use this sticker chart in so many ways! When you recieve it, it is almost completely blank and you can customise it as you wish. Receiving this book was such a blessing to our home and to our family. Young Explorers’ Adventures in Makkah is the story of a family’s trip to Mecca for Ummrah. In addition to talking about Hajj and Ummrah, the book also relates their travels around many of the historic sites in the area. Many of you are aware, that the authorities in Saudi are slowly demolishing and covering up sites of Islamic historical significance. Whatever their reasons, there is a risk that knowledge of these places with be lost from the general public. This wonderful book, shows you where many of these sites can be found. It locates the house of Khadijah (ra) and what it looked like inside. It tells you about the birth place of Prophet Muhammad (saw) and where it can be found. More than half of the book is dedicated to sites around Mecca that hold an importance with the Seerah and our Islamic heritage. Often, when you come across a book about Hajj and Ummrah it will fall into one of two categories. Either it will be very factual, listing what is fard and sunnah etc., but may be a little “dry”. Alternatively, you may find a story book which, although it is very pleasant to read, it provides little information to teach the children from. This book falls somewhere between the two. Children are captivated by the emotive story-line that runs thoroughout, whilst also learning from the wealth of information it offers about the pilgrimages and the Seerah of Prophet Muhammad (saw). This is the story of a young boy named Huthayfah, who gets angry with his mother. This touching story draws on the Prophetic advice for the best way to deal with anger. It is well written and the illustrations are colourful with faceless characters. If you have a child who struggles to control his or her anger, this book may help you and you child to find ways to cope. The author, Sarah Javed, is a fellow homeschooler from the U.K. She shares her snippets of her homeschooling life on her Instagram account. I’m so angry is available from Amazon (USA) and Amazon (UK). I have been aware for sometime that mainstream bath products contain potentially harmful ingredients. Using natural and/or organic products on my children puts my mind at ease. What a delight it was to be introduced to Tiny Twinkle Products on Instagram who produce Organic, Natural and HALAL bath products for children. The products contain only natural ingredients, and gentle on my children’s skin. They are all labelled with the “halal” sign, and (very importantly…) they smell incredible!!! The products in their range retail between £7.50-£18. “About a year ago I found out I was pregnant. This was a happy and overwhelming experience as I would become a mother for the first time. During my pregnancy I started making a list of what I’d need to get for my new arrival. I asked other mothers about their recommendations. I then heard about Johnsons baby products having cancer related chemicals and thought I don’t want to put chemical based products on my baby. So I started researching. I first made my own nappy balm with all natural organic ingredients. After my daughter was born I started using this on her, and noticed that she got no nappy rash at all. My husband was also impressed and told me to start a business selling organic baby products. Some friends and family had asked about these products as there was a gap in the market for purely organic halal baby products, so I started creating my own brand called ‘Tiny Twinkle’. If you are looking a range of halal, natural bath products for kids, I would recommend Tiny Twinkle. For more information about their range, and to place an order, visit them on Instagram and Facebook. This January I am so happy to be able to share SIX of my favourites with one of you! It’s MASSIVE!!! The January 2017 Favourites Giveaway will run from Friday 27th January at 12AM, until Friday 3rd February at 12AM GMT. Please share in the comments section below insha’Allah.